There aren’t a lot of ways you can make your employees happier than by throwing them a party. It helps build unity within your company, whether big or small, and people really look forward to it! Corporate parties are great if you do them well, and we are here to help you do just that. So without further ado, here are a few corporate party ideas guaranteed to impress! Every company in the history of companies has done the type of party where you just ask your employees to show up and eat food and talk to each other. Don’t be a boring boss, and try one of these creative ideas! This one is pretty easy, if we’re being honest, though still a lot of people appreciate it! We all love movies, and there are a few ways you can do this one. Would you rather be hands-off and rent out a theater for a popular new movie, or would you like to be a little more in-depth? Let us explain. Renting out a theater is easy and fun! Simply choose the movie based on the demographic of your employees, and choose a time that works for everyone. If you’re working with an office, it will be easy to choose a movie during the day – employees love to be paid to party! If you have a larger company, you’ll need to figure out the logistics of multiple movies, and you might need to choose a weekend night. Invite employees to bring their families! A Location – Choose something like a park or someone’s large backyard. You can also choose to hold the movie inside a tent, or out in the open! A TV – You can choose either a blow up TV screen and a projector, or simply project your movie onto a blank wall. Either way, make sure it’s big enough! Food – The simplest choice for this would be pizza. It’s fast and cheap, and everyone loves pizza. Other ideas are typical movie snacks like popcorn and pretzels, or you can even get a little fancy and cater! If you’re looking for an easy company party – this is your best bet. It’s hard to go wrong with a movie, and people will appreciate the relaxed evening with their friends and family. The Harry Potter soundtrack – Music can set the tone of the whole party. Help everyone get in the spirit by playing the classic and well-known Harry Potter soundtrack from the films. Classic Harry Potter foods – While you may want to provide a meal of some sort for everyone, you’ve got to include some of the staple treats from the Harry Potter universe, such as every flavor jelly beans, chocolate frogs, or even butterbeer if you’re up to the challenge! 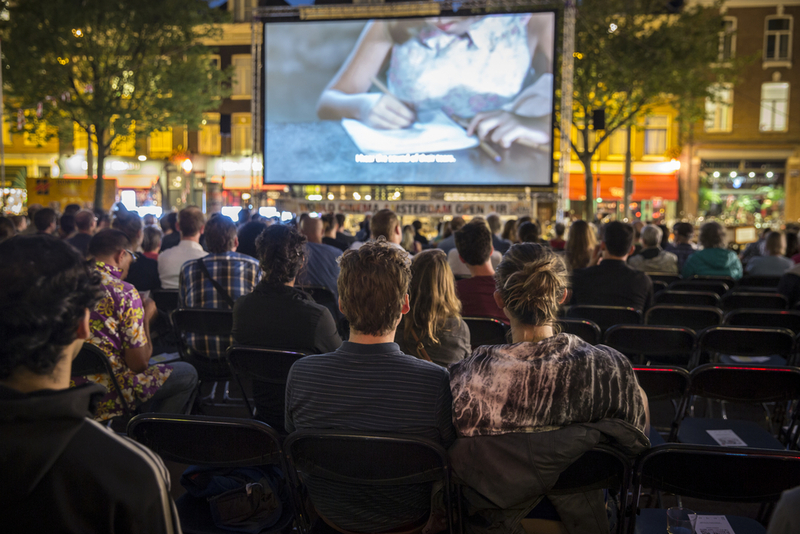 A Projector or TV – Have the Harry Potter movies playing in the background in a place where people could relax and watch a bit and get engulfed in the night’s theme. Floating Candles – Or just regular candles if you can’t find floating ones. 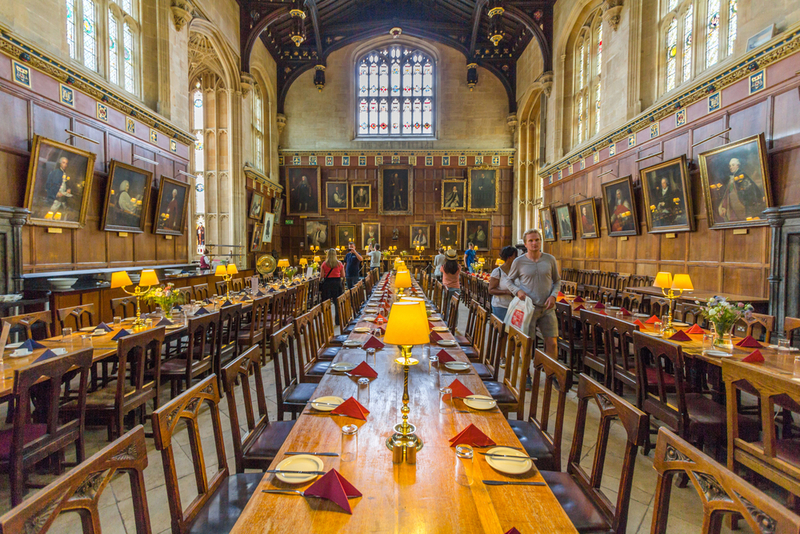 The Great Hall in Hogwarts was littered with rustic floating candles, and while yours may not be hovering in the air, candlesticks will really help set the right ambiance for your employees. You’ll want to make sure your guests are entertained from start to finish, and while the Harry Potter movies and the soundtrack are entertaining pieces, here are some other fun activities you may want to include as well: have a costume contest to show off everyone’s HP spirit. You could have a pie eating contest, with a risky-flavored jelly bean in the center. You could even provide Hogwarts House stickers for your employees and do some Harry Potter Trivia divided by houses. From start to finish your employees are bound to have a magical evening! We think this particular idea is especially good for small companies whose employees are close friends. 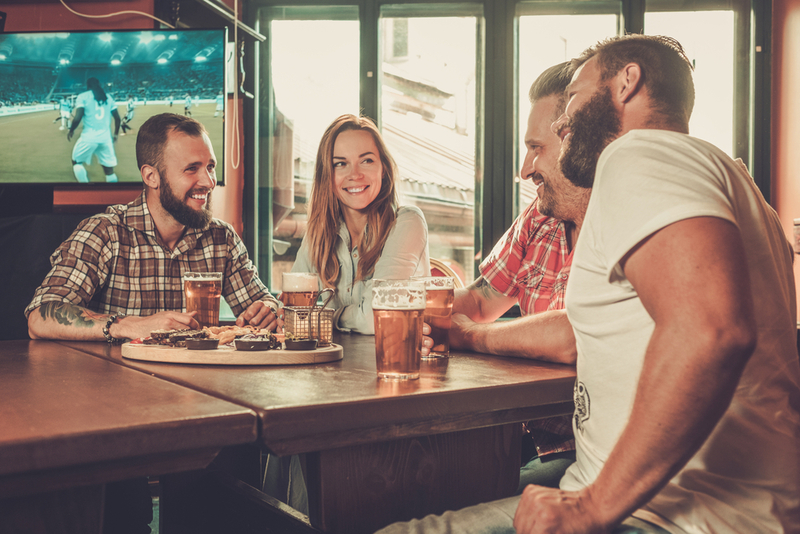 To execute this unique idea, simply choose a night that a popular football (or other sport) game is playing, and see if you can rent out a popular bar or chicken wing restaurant. Invite your employees to wear their favorite jerseys, and tell them to bring their families. This is a great way to build the relationship you have with your employees, and the ones they have with each other, and it’s pretty low-cost. Just tell them when to show up, and make sure you pay their bills. Your employees won’t feel pressured into going because of the casual nature of the night, and they’ll really appreciate the thoughtfulness! A Location – We suggest choosing a large space accompanied by a raised stage. This way you can have an instructor teach the group a few dance styles, and then everyone can practice! Choose either a large tent and stage, or a ballroom on the first floor of a nicer hotel. A Dance Instructor – This person should be someone who is classically trained in ballroom dance styles, and who is patient with large groups. Music and a Microphone – So your guests can hear the instructions, and then have fun dancing after the tutorial is over! Drinks – No dance night is complete without a little champagne! Because people will be so active, it might be better to stick to hor d’oeuvres and simple beverages than a full meal. Cheap and classy! Guests arrive and mingle for a half hour. Dance instruction for about an hour. Free dancing and more mingling with drinks for the rest of the evening! Your guests will love the opportunity to dress up for an evening of dancing! Hiring a dance instructor (or 2) is relatively cheap, and it’s the perfect excuse for a date night. They’ll remember this one for a long time! A Location – Choose your location wisely, as people will be expecting something grand. To avoid high cost, try decking a tent out in string lights and glitter, or rent a ballroom in an upscale hotel to create that appearance of wealth. Chairs and tables – This party is a mashup of dancing and food so make sure you provide adequate dancing space and adequate seating. Drinks and Food – Because the Roaring 20’s is all about America, try some fun American food like hot dogs and sliders. A Photographer – You’re definitely going to want to document this night of dancing and fun! Create a photobooth with some glitter streamers and props, and have a second photographer wandering the party taking candid photos! Music – There are a lot of playlists online that can help you with this! Choose plenty of Jazz and Swing songs to really keep the tempo up for everyone! This is such a good party for a large group of people! 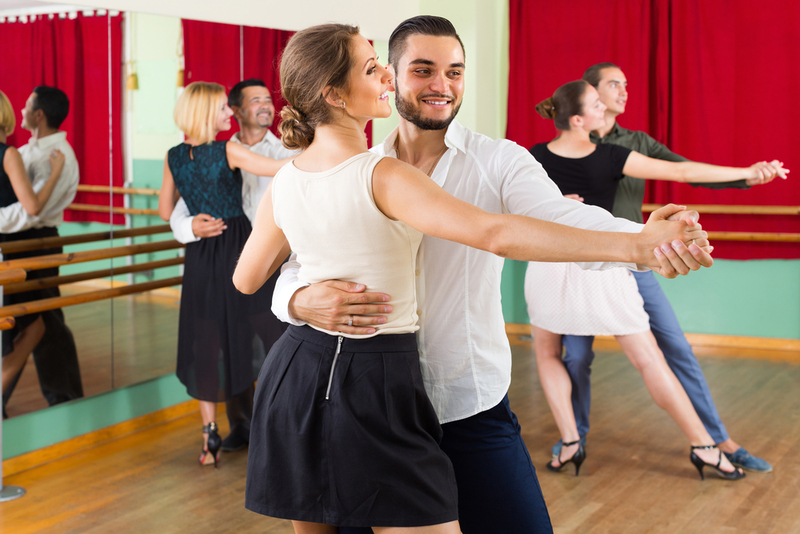 Much like the ballroom night, if you want to go the extra mile, you could even hire a teacher to go through some basic steps of jazz and swing dance. Ask your employees to bring their families, and encourage them to dress up! Your employees can choose between dancing or mingling, but either way the fun atmosphere will leave them smiling at the end of the night. Murder mystery parties are all the rage lately! Not only are these parties engaging, they can be a lot of fun depending on how dedicated you are. Off the bat you might be thinking that this is too difficult to accomplish, and we’ll just say it right now: if you’re throwing a party for a hundred employees or more, you might want to hold off on this one. It’s an incredible idea and can be really successful, but if you aren’t ready to dedicate that much effort, skip to the next idea. A location – You can either rent a building to hold this in, or you can hold it outside in a tent. Either way, you’ll need to decorate in the era you’d like to theme it around, and you’ll need plenty of places for people to sit while they figure out their mystery. Food – No one likes to sit in a room with a bunch of people and not have anything to eat. 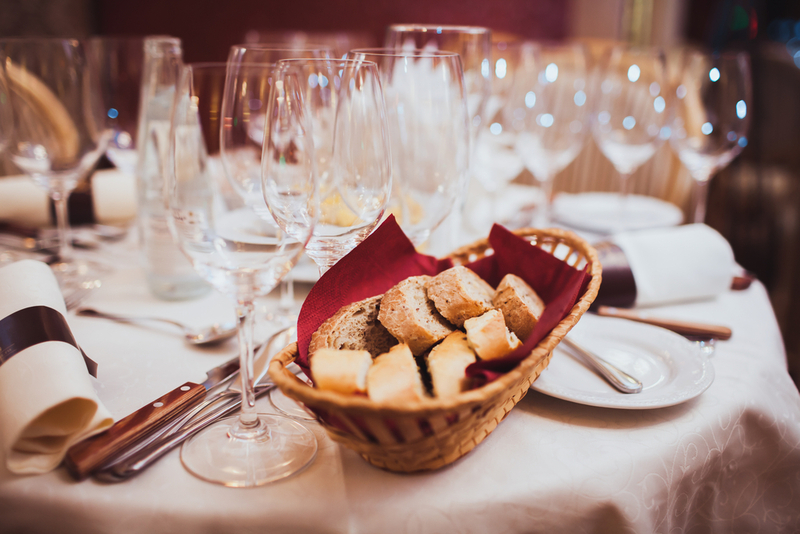 You can choose between hor d’oeuvres or a full meal depending on your budget, but be sure to choose food that also follows your chosen theme and era. A solid mystery – The key to your murder mystery party is going to be a good story. You’ll need to do some research to get the logistics down, and you’ll need to ensure to include each of your guests in solving it. Check out this blog by Writers in the Storm to help you get started. 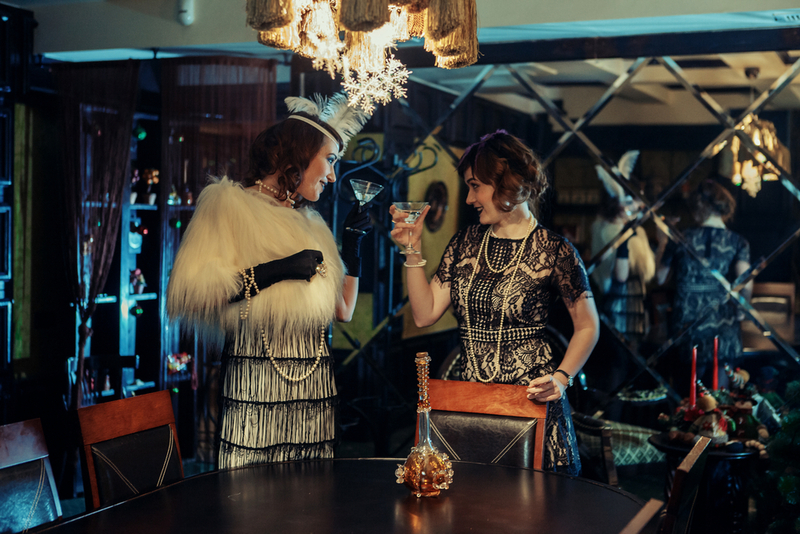 A dress code – Like we mentioned, you’ll need to set this party in a certain era. Provide your employees with examples of how they might dress up, but make sure you mention that people are still invited even if they have no desire to come in costume. To make this party a truly exciting night, begin your party by inviting your guests in and encouraging them to mingle. Then separate them into their groups and watch the wheels turn as each group begins to figure out their mystery. To make it extra special you can offer a prize to the first group to solve their mystery! If you manage to pull off this incredible party, your employees will talk about it for months. They’ll appreciate how creative you are, and they’ll love that you took the time to create something like this for them. If you do decide to choose this, let us know how it goes! Location—you’ll have options here depending on what time of year it is and if you want to do it indoors or outside. This is a party better enjoyed outside, so do it in the spring or fall to enjoy the nice weather. There are plenty of parks to rent out, and you can rent event tents in case of rain. Food – It’s never really a party without food, and this is no exception. You can cater some BBQ or whatever your employees are into. But on top of that you’ll want to provide some carnival foods like cotton candy, popcorn, and corn dogs. 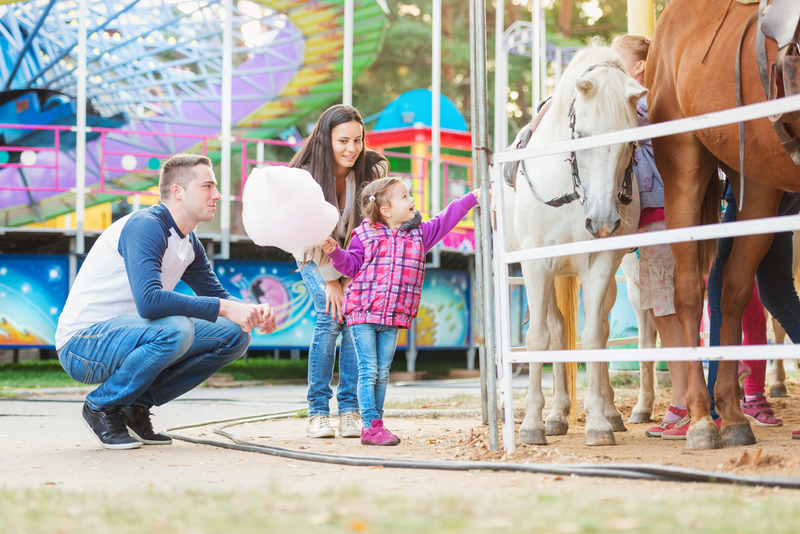 Games and Activities—Set up a few stations for classic carnival games, such as a bean bag toss, ring toss, and mini golf. Set up a face painting station for the kids, and any adults who are feeling brave. But don’t feel limited to just standard carnival games and activities, include whatever you want! Prizes—with games come prizes. Have some simple treats tucked away as prizes when people do well or win in a game. Or hand out tickets whenever people win a game and do a raffle near the end of the carnival for fun prizes! You can set up different stations all around your venue with the different games, activities, and treats available. Set up tables and chairs all around where people can take a load off and relax or eat. Consider renting a stage and audio equipment for making announcements. Let your employees come in, get some grub, play some games and win some prizes for a fantastic carnival event that your employees and their families won’t soon forget. Each of these parties are diverse and exciting. We know your employees will love whichever one you choose, but you will need to ensure you do it right. We’ve given you pretty good instructions on how to execute these, and we can continue to help you out by providing you with many of the necessities like tents, food prep, and tables and chairs. All Out Event Rental has everything your corporate party could ever need, from themed decorations to comfy seating and bars. We also understand that you’re likely incredibly busy and don’t want to deal with the hassle of setting everything up, which is why we do this for you. We take great care to make your event as special as you imagine it. Don’t see an idea that’s within your budget or your ability? Because we have so many options to make your event a masterpiece, we will continue this list of cool corporate party ideas next month! Come back for even more creative and engaging ideas for your next corporate event, and call All Out for all your party needs.